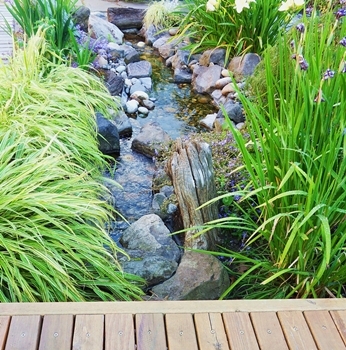 If you’re searching for something new and exciting to spice up your garden try building your very own dream stream. 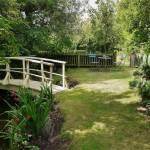 Your stream will be faultless as it grabs the attention of anyone nearby with its waterfalls and rapids transforming your garden into a haven of tranquility. You can achieve all of this even if it is your first attempt at a water feature. 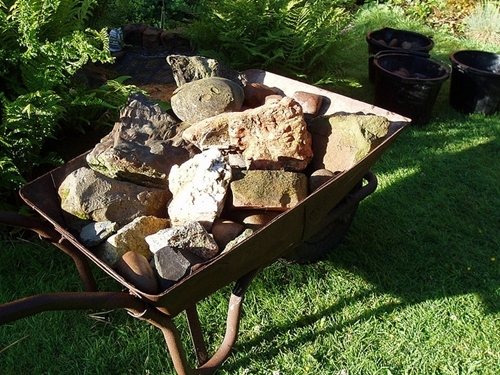 Few gardening tools are needed as it is mainly heavy work; in fact the only special tool you will need is a wheelbarrow for moving around heavy materials. 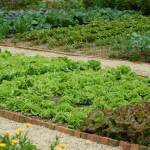 If your garden has rich soft soil that is easy to dig, then you can excavate the entire project. 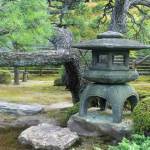 If digging however proves to be too difficult, it can be built above the ground by using stones for the base. 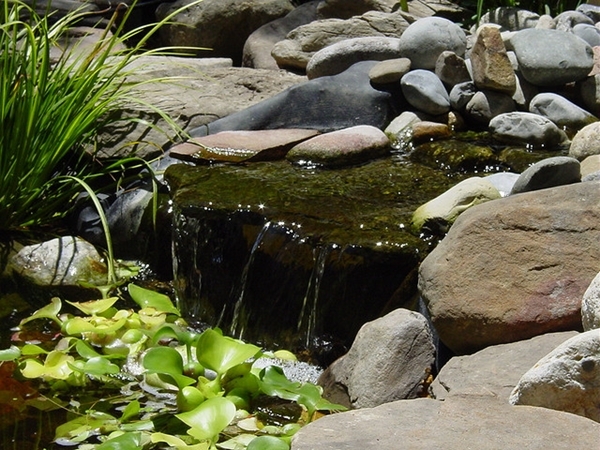 You will need to consider the size of your water feature in order to decide how much water can be held in the top and bottom basins of the stream when the pump is turned off. The fantastic thing about streams is that they are effective even with the use of a simple slope. The minimum slope needed is a 2 inch drop with every 10 ft of stream. It’s up to you whether or not you want to use a modest slope or go wild with a steep slope. 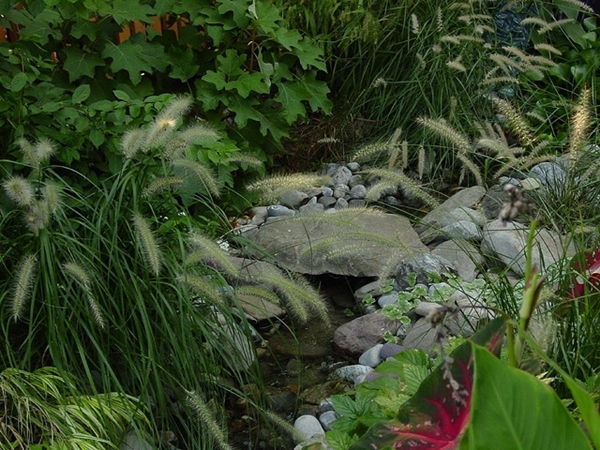 A steep slope allows you to toy with the idea of adding a waterfall to your stream. Another idea you may want to ponder with is how your stream will sound. For a calm trickily sound a waterfall height of 2-4in is ideal. However, if you want to drown out street noise, a height of 10in will be sufficient. The more noise you want to create the higher your waterfall needs to be. 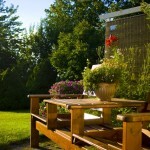 Remember to base your decision on the space and room you have in your garden. Too steep an incline can look out of place and over the top. 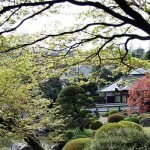 Your stream should be the focus of your garden and therefore situated some place visible. Contemplate putting your stream near the windows of your home so you can hear the water both inside and outside. The water pump can always be switched off if it becomes a distraction. Make sure that you are aware of where utilities are buried so that you do not block access to them and so they do not interfere with your water feature. The stream will also need to be near an electrical source and have access to a hose should it need water added. You also need to decide on the sort of gravel and stone you want your stream to have. You will need gravel to line the bottom of the water feature. 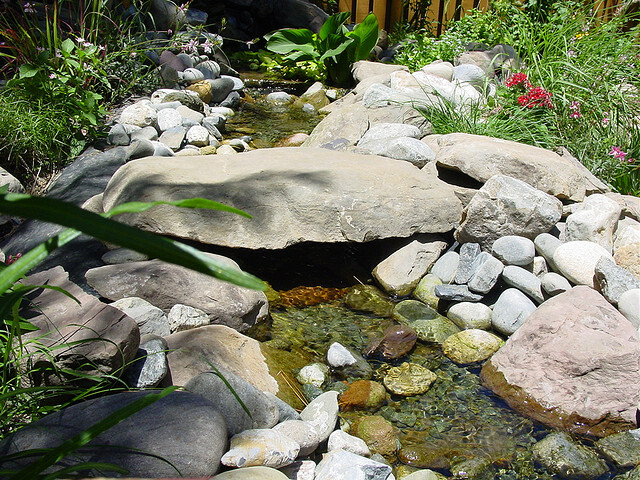 You can choose from vibrant colorful boulders and flat stones to sculpt the stream. Boulders and stones will give your stream character, forming the ripples and falls of your water feature. 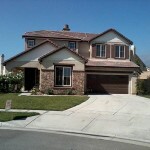 Make sure you visit a variety of dealers to get exactly what you want for a reasonable price. Plants are another feature your stream should have to give it those finishing touches. 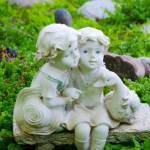 The spaces between your stones form perfect pockets for your streamside plants to grow. You can have a variety of plants including bulbs, shrubs, perennials and annuals that may in time arch over the water like those in the wild. 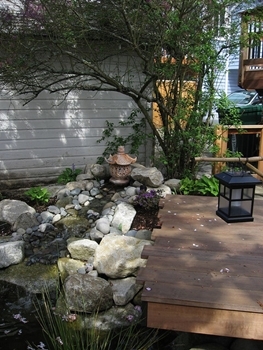 Your stream will also attract birds and other wildlife adding to the ambiance of the stream. Maintaining your stream is fairly straight forward. The rocks and stones form a natural filtering system as well as forming algae and beneficial bacteria that keep the water clean. You will also have the use of a pump to keep the stream clean. Your stream will need topping up once in a while to replace any water that has been evaporated. You can do this with the use of a hose that we talked about earlier. Keep your plants well looked after like you would anywhere else and use gardening tools to trim them back if they become out of control. Now all there is left to do is enjoy your stream. Watch as the water flows over gravel and stones through twists and turns before it is pumped back to where it started in order to repeat the journey. 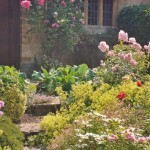 Emma has a keen interest in home improvement and gardening and regularly writes for similar blogs. She has a particular knowledge in the conservatory and orangery market and also likes to dabble in other areas as part of her SEO work such as the auto tools market and women’s lingerie.